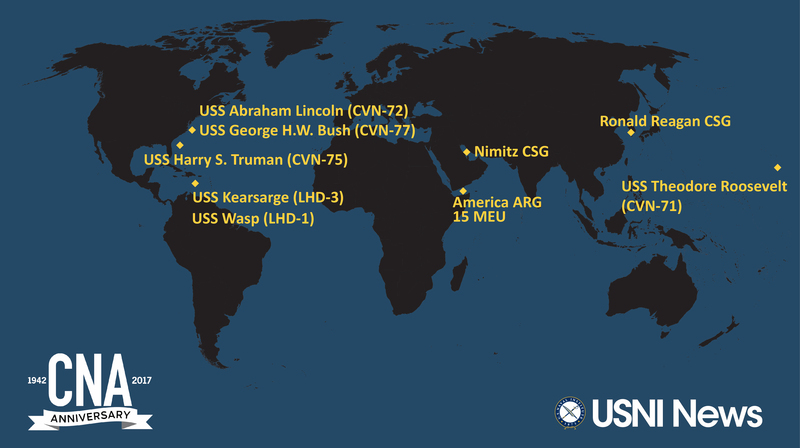 These are the approximate positions of the U.S. Navy’s deployed carrier strike groups and amphibious ready groups throughout the world as of Oct. 23, 2017, based on Navy and public data. In cases where a CSG or ARG is conducting disaggregated operations, the map reflects the location of the capital ship. 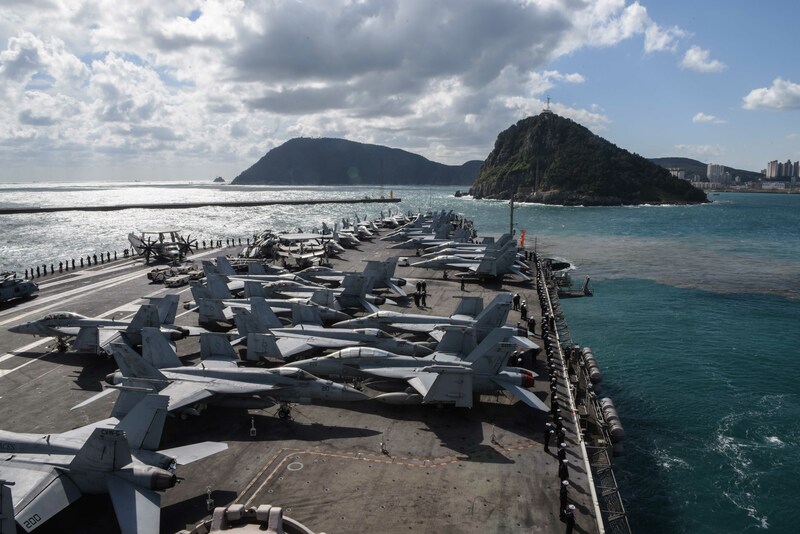 The Ronald Reagan Carrier Strike Group (CSG) completed a five-day naval exercise with Republic of Korea forces. USS Ronald Reagan (CVN-76) pulled in to Busan, South Korea, on Saturday. About 7,500 sailors and Marines with the Theodore Roosevelt CSG departed Oct. 7 from San Diego, Calif., for a scheduled deployment to the Western Pacific and the Middle East. 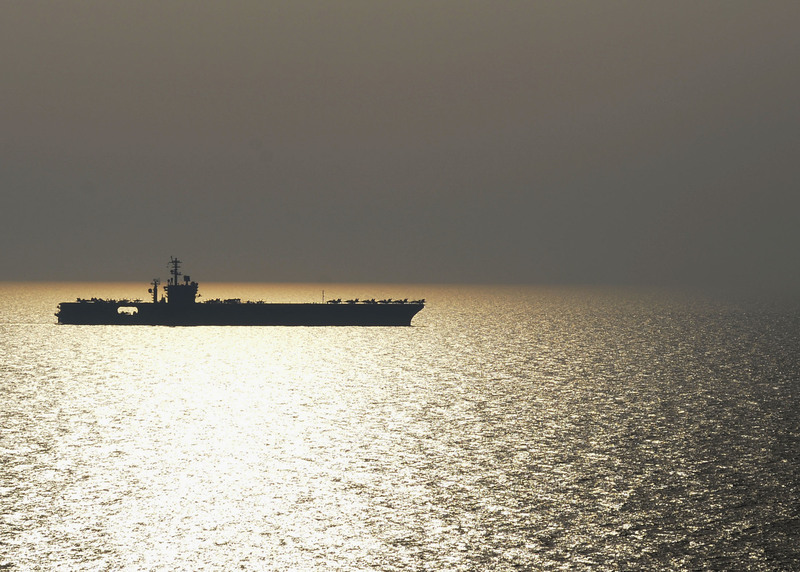 The Roosevelt Strike Group is expected to ultimately relieve the Nimitz Strike Group in the Persian Gulf. There are reports the Roosevelt CSG could conduct dual-carrier operations off of the Korean Peninsula with the Reagan CSG. 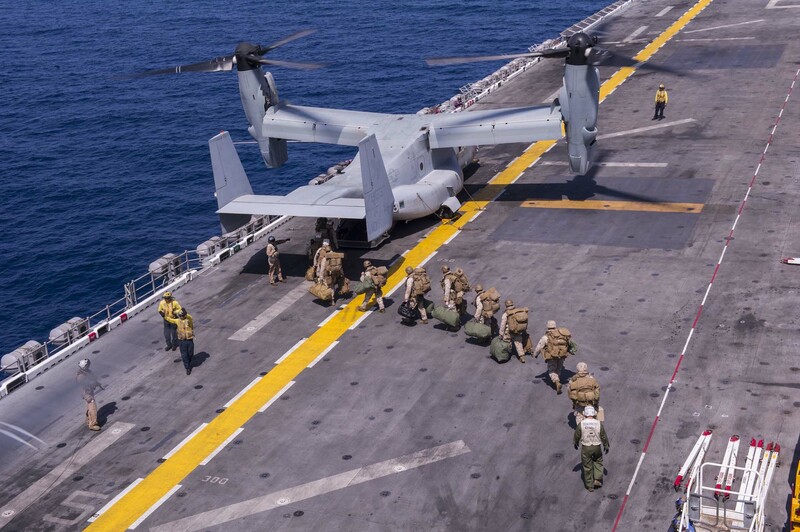 The America Amphibious Ready Group (ARG), 15th Marine Expeditionary Unit (MEU) and Amphibious Squadron (PHIBRON) 3 are operating in the Gulf of Aden and the United Arab Emirates. San Diego arrived in Souda Bay, Crete, on Oct. 15 for a mid-deployment maintenance availability. 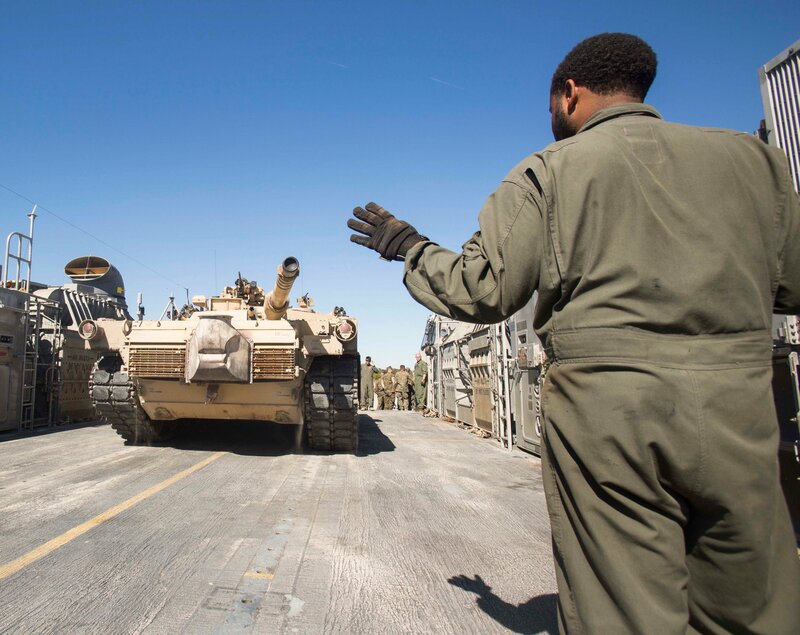 Other ARG units are participating in Exercise Iron Magic 18, a military exercise between the UAE Armed Forces and U.S. forces that started on Thursday in the UAE. The Nimitz CSG continues to conduct anti-ISIS strikes in Syria and Iraq in support of Operation Inherent Resolve. Amphibious exercise Bold Alligator 17 is taking place off the coast of North Carolina, though smaller in scale this year due to many of the exercise’s planned participants still conducting hurricane response efforts in the Caribbean. “Bold Alligator began with a simulated exercise in 2010 and a live exercise in 2012, and is now the East Coast’s premiere amphibious force training exercise. It is comparable to Dawn Blitz on the West Coast, Rim of the Pacific in Hawaii and Ssang Yong in South Korea for forces forward-deployed in Japan…. Bold Alligator was last conducted as a live exercise in 2014,” reported USNI News earlier this month. 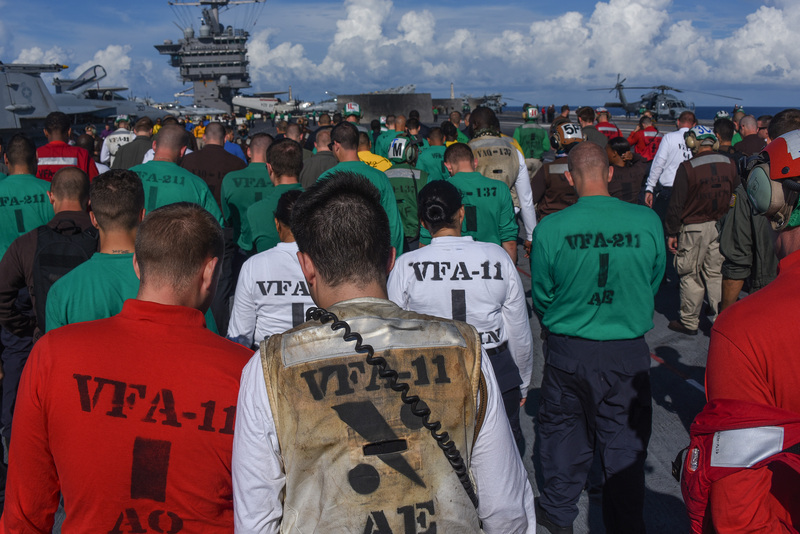 USS Harry S. Truman (CVN-75) is underway in the Fleet operations areas off of Norfolk, Va., conducting a Tailored Ship’s Training Availability (TSTA). 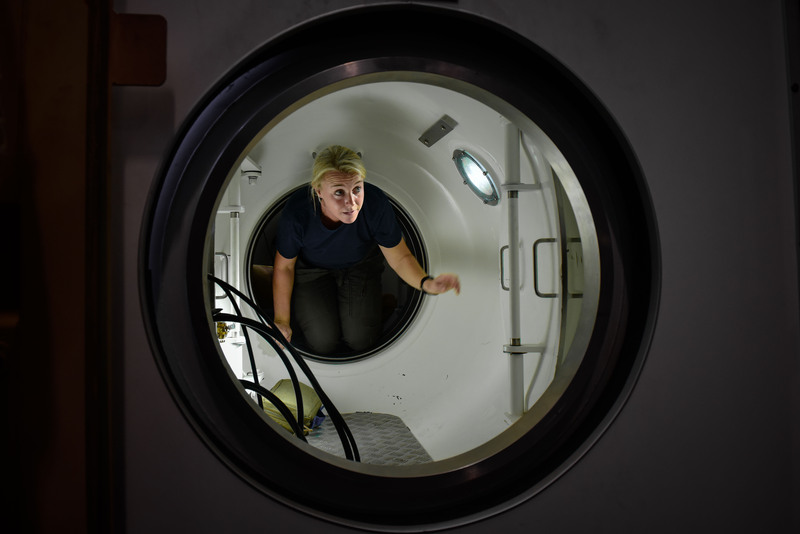 This is the final step in the crew’s individual ship training and culminates in a Final Evaluation Problem (FEP). The next underway phase of Truman‘s training will include other ships as the carrier continues deployment work-up. The amphibious assault ships USS Wasp (LHD-1) and USS Kearsarge (LHD-3) and dock landing ship USS Oak Hill (LSD-51), along with the Marines of the 24th MEU and Seabees from Amphibious Construction Battalion 2, continue to support the humanitarian relief efforts for Hurricanes Irma and Maria in Puerto Rico. Hospital ship USNS Comfort (T-AH-20) arrived off Puerto Rico on Oct. 3. “Comfort’s primary mission is to provide an afloat, mobile, acute surgical medical facility to the U.S. military that is flexible, capable, and uniquely adaptable to support expeditionary warfare. Comfort’s secondary mission is to provide full hospital services to support U.S. disaster relief and humanitarian operations worldwide,” according to U.S. Military Sealift Command. In addition to these major formations, not shown are thousands of others sailors and Marines serving aboard submarines, individual surface ships, aircraft squadrons, SEAL teams, Special Purpose Marine Air-Ground Task Forces and other units around the globe.